I am excited to announce that my wife Kelli and I have managed to carve out some time this summer for an extended vacation (extended by our standards at least!). We have decided to spend 3 weeks in the UK. We are now a week into our trip. We initially flew from NC to Boston to spend a day with our daughter, son-in-law, and new granddaughter. Saturday night July 16th we flew British Air from Boston to Heathrow, arriving Sunday morning. I cast an envious glance at the business class seats as we headed to coach. But the trip went quickly enough, starting in Boston, and we landed without event. We picked up a rental car and proceeded to drive north. We ended our first day near Carlise at an inn that my wife had located. We had a nice dinner of lamb and turned into bed early. The next day went drove onward arriving at the Inverness Airport in the afternoon. 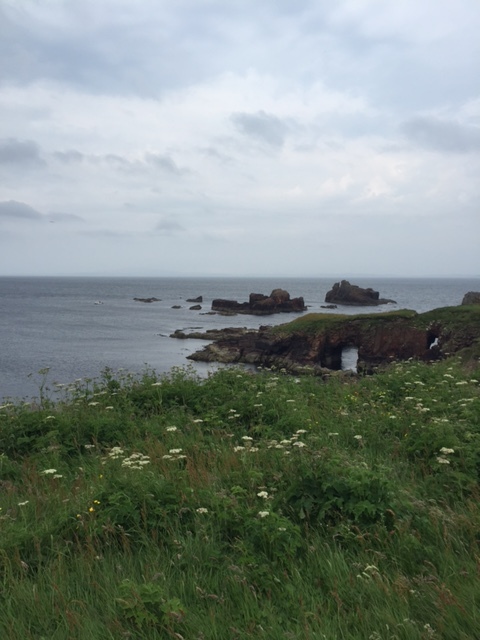 We had a flight booked on a small airline, FlyBe, from Inverness to the Shetland Islands, with an intermediate stop to the south in Kirkwall. After we arrived in Kirkwall, the pilot announced that the weather was very bad at Sumburgh in the Shetlands and that he was waiting for the weather to improve. Eventually we took off and after some nail biting, were able to land as planned. It was a very near thing as the clouds were quite low. Our friends Hilde and Pete met us there and we went to their house. We spent two days on the island. My wife is a knitter so one of the first things we did was take a lesson in how to spin yarn from raw wool. It was quite fascinating how this is done. Next we drove around and took in the scenery. On our second day, we took a ferry to an even smaller island, Papa Storr, where Pete and Hilde are refurbishing an old farm house. It is quite wild with many sheep and few human inhabitants. That night we had a wonderful meal at a fine restaurant in Scalloway. The following morning we had an early and uneventful flight back to Inverness. We drove up northward to explore a small town called Ullapool. 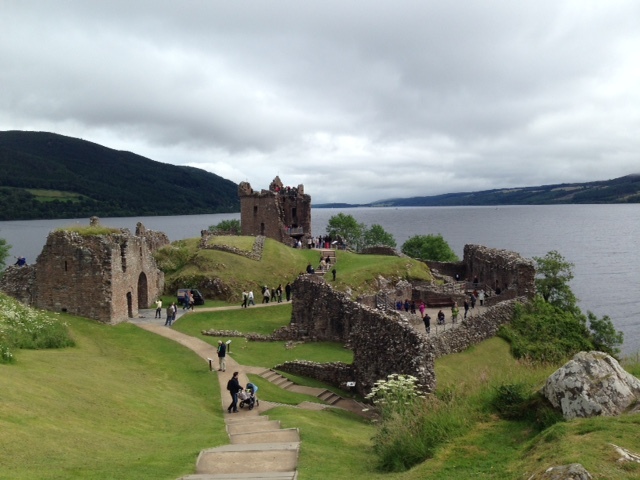 The next day we took a boat cruise on Loch Ness and visited the Urquhart castle. The next morning we did a tour of the Tomatin Distillery. From there it was on to Glencoe. Week 2 started in the Glencoe area. Glencoe is a small village that serves as the entrance to an amazing valley and pass. The views are spectacular. We did a big loop trip up through the valley, the pass, and then around the back side back to our starting point. Amazing views! We spent 2 nights at the very B&B near the town of Duror. It was about 2 miles off the main road up a gravel path. Very remote. Very quiet. Due to the remoteness, the hosts also served an outstanding dinner service in the evenings. Truly first rate. After 2 days in the Glencoe area, we drove south out of Scotland into the Lakes District in the northwest section of England. In many respects, this area reminded me of the area of Scotland that we had just come from. I think one of the main differences is that the National Trust owns a lot of land and structures in the area and has developed an extensive set of walking trails. This was very nice for walking purposes. Unfortunately, when they laid out the roads in the area, they certainly were not envisioning full sizes autos. It was very nerve wracking to negotiate the roads, as every time a car came the other way, it was white knuckles on the steering wheel until the pass was made. Some of the roads, paths really, were only about 8 feet wide with turnouts. After 2 days in the Lake District we left for Banbury. Arriving in Banbury on Thurday night, I planned to spend 3 days at the Silverstone Historic Races. See more about that here.